Adelaide is a haven for many cyclists. There are cycling trails and bike paths everywhere you turn, from the metropolitan area and up to the mountain bike parks. I have included some shorter rides and some longer more challenging rides below. Here are my top 7 Adelaide long distance cycling routes. 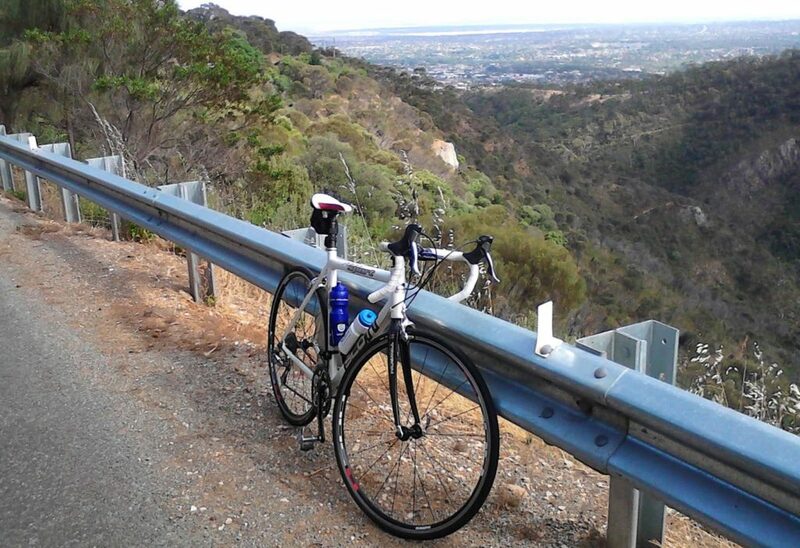 Willunga Range Loop – the ride to Willunga Hill is one of the most challenging and rewarding for many cyclists. 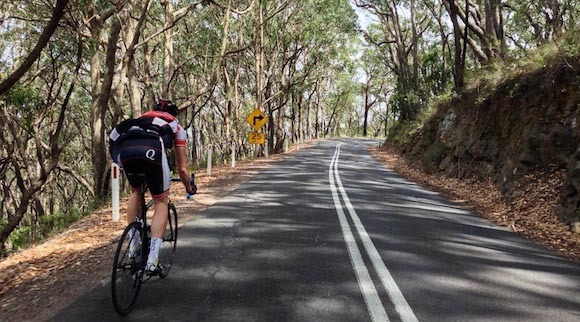 It’s a 24 km ride that starts with a long, hard climb to Old Willunga Hill followed by a few more challenging climbs and a rolling ride along the top on the part of The Range Circuit. The ride finishes up with a long, winding, fun descent going back down to Old Willunga Hill which offers spectacular views for cyclists. You will need a fair bit of strength in the legs to get up the hill, Bike Blitz Training Program is a 4 week plan that can help you build your power and speed. Norton Summit – Norton summit is a 10km ride that starts with probably the highest inclination throughout the whole ride within just the first km. I would highly recommend riding to Norton Summit to give your legs a good warm up before heading up this incline. The rest of the ride is relatively long with a consistent climb. It has some steep switchbacks where cyclists can see other riders on the road below. The Norton Summit provides a fantastic view of the city all the way to the beach. To make this a longer ride have a read below of the Adelaide Hills loop. Barossa Trail- this is probably the most scenic route in Adelaide since it showcases the beautiful scenery of North Para River and the vineyards between Barossa Ranges and Adelaide Plains. 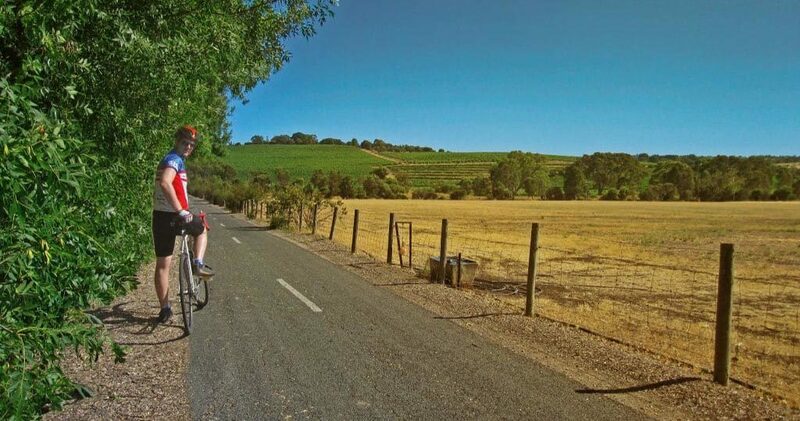 The Barossa trail is a 40 km ride between Gawler and Angaston. This ride is a little too tempting!! As a beginner cyclist it can be a great idea to stop, rest and visit the wineries, restaurants and other attractions on this trail as the towns are a few kilometers apart, this will provide you with a much needed rest and a nice way to spend a day. For the more advanced rider you may choose to ride start your ride in Adelaide. This will add another 40km onto your long distance Adelaide cycling route. 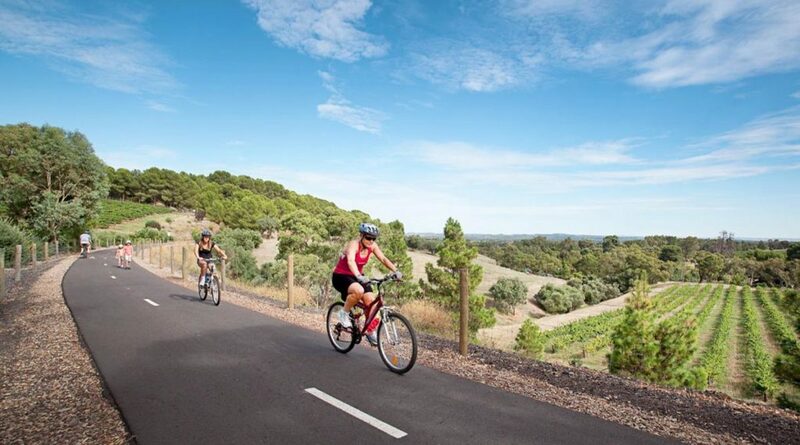 Adelaide Hills – The Adelaide Hills has plenty of trails to choose from which can suit beginner cyclists to advanced cyclists. There are lots of steep descent or ascent on narrow winding roads. Just be careful during wetter weather as the roads can be dangerous to ride as they can be really slippery. On a good day you can’t beat this Adelaide long distance cycling route. It’s a great ride in the countryside full of wildlife (koalas), vineyards and native scrubs. Start your ride by climbing up Eagle On The Hill to Crafers, then cut across to Uraidla towards Basket Range and down Norton Summit. Mawson Trail – The Mawson Trail is a 900 km mountain bike ride from Adelaide to Blinman. The trail is a collection of state forest, forest fire trails, farm roads, etc. 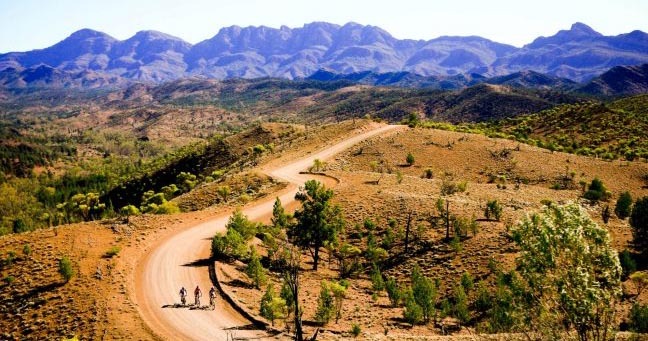 This trail is scenic, especially in the northern section through the Flinders Ranges. This is definitely for the keen off-road cyclists. The trail takes cyclists through forest, farmlands, historic towns seeing abundant wildlife, unique floras, and spectacular landscapes. If you are planning on attacking the whole thing in one go, expect it to to take you about 2.5 weeks and you will definitely need to know how to fix your mountain bike if you were to get into trouble. To read more about the Mawson trail click here. 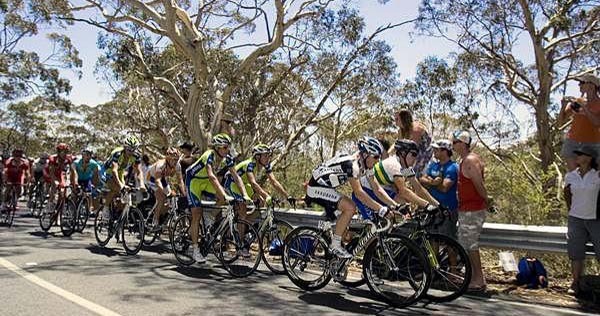 Mclaren Vale – Mclaren vale is an easy and fun 45 km ride or a hard and gruelling 100km return from Marion to Willunga Hill and back. The Mclaren Vale road is mostly flat which makes it easier for beginners and for those who haven’t been on a bike in a while. What makes this ride fun is the fact that Mclaren Vale is another famous wine region and is growing into a gourmet hub. Cyclists can enjoy the coastal view (Shiraz trail) as well as the gorgeous vineyards of the region. If you are wanting to ramp up your cycling then add Willunga Hill onto this ride. Even better – start your ride at the beginning of the Southern Veloway Bike track! 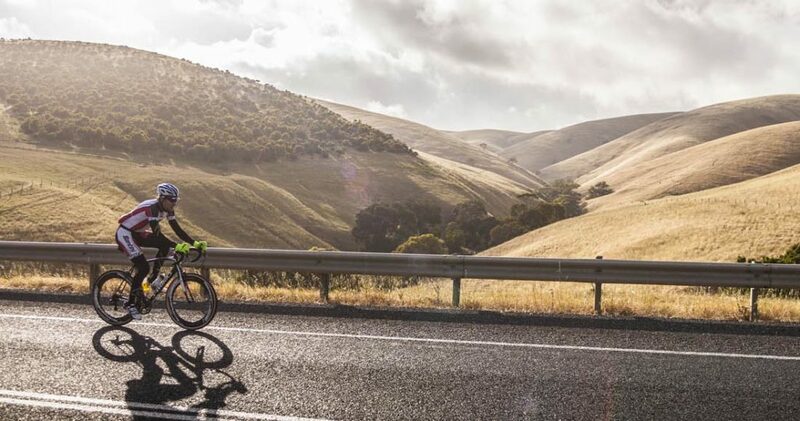 Bike Encounter – Bike encounter is a 31 km on-road and shared trail in Fleurieu Peninsula, about an hour south of Adelaide. The trail links the heritage towns of Goolwa, Port Elliot, and Middleton. The trail is relatively flat and there are ranges of riding distances which makes it suitable for cyclist of all ages. On a good day a cyclist may be able to see dolphins playing. On a cold day you may be able to see a whale passing by. If you are after a longer ride 136km worth, then start at Moana and head through Port Willunga to Silver Sands Beach, where you will turn inland to Myponga, Carrickalinga, Normanville and Yankalilla. From here you can either head back or continue onto Victor Harbour. If this isn’t enough for you then you can add the trail to Goolwa ontop of this ride before heading back. For a more detailed explanation and map of this route click here. I hope you manage to get out and explore one of these rides. Send me your photos and let me know how you get on. Or even better, send me details of rides that you do (that I haven’t mentioned). If you need help with your training then Bike Blitz 4 week Program is the way to go. Have a look at how it’s benefited others!